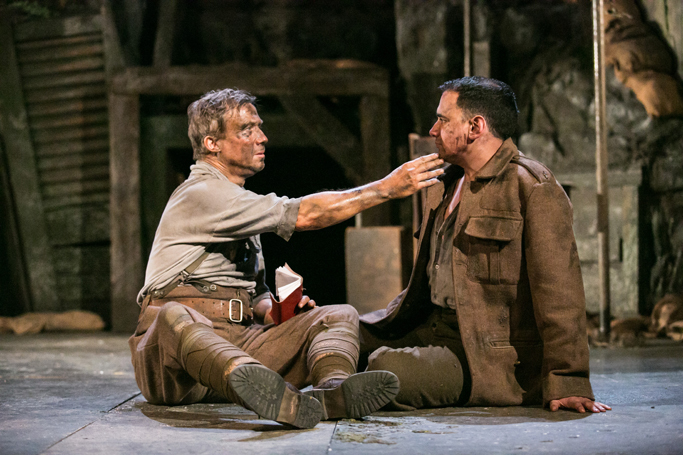 In Sebastian Faulks’s much-loved novel, young Stephen Wraysford’s passion for Isabelle, his French employer’s wife in Amiens, is expressed with a physical intensity matched, in a different mood, by the later scenes in the trenches and frontline tunnels. It is a challenge for playwright and actors to embody all this onstage, but there is clearly an appetite for the theatre version, even after the BBC’s mini-series starring Eddie Redmayne in 2012. 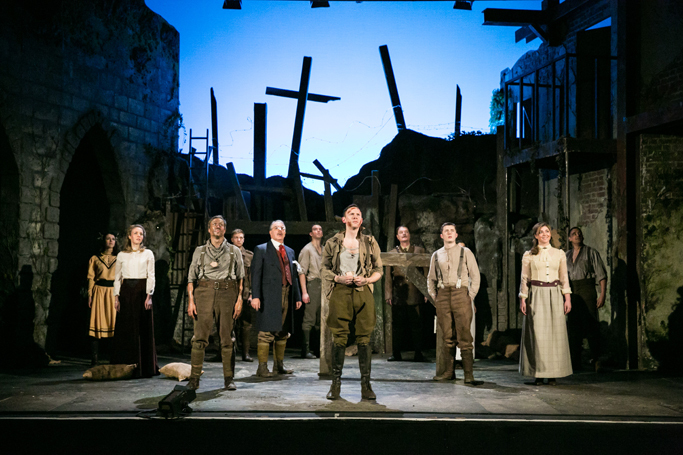 Rachel Wagstaff’s adaptation, first directed in 2010 by Trevor Nunn, toured during last year’s Centenary and is here presented in its third, revised, incarnation. 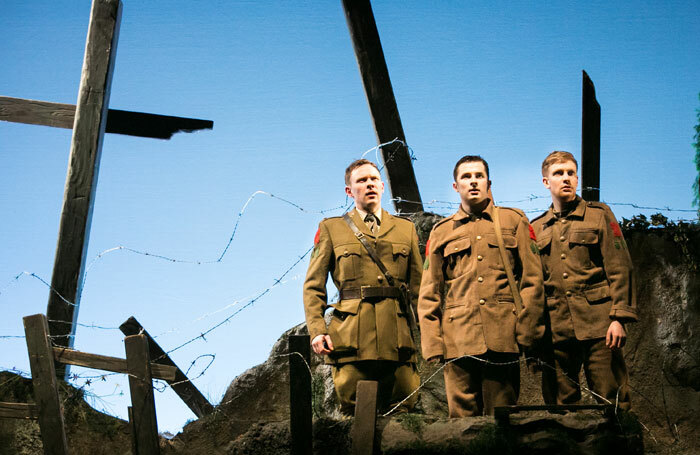 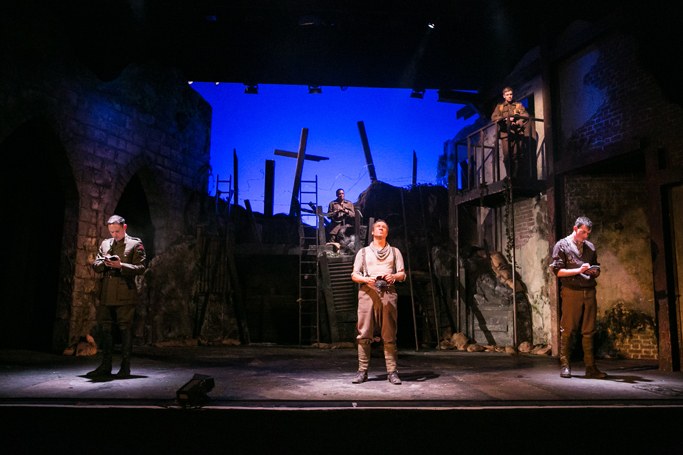 The play now begins in 1916, before the Battle of the Somme, and intercuts flashbacks of Stephen’s love and loss of Isabelle. 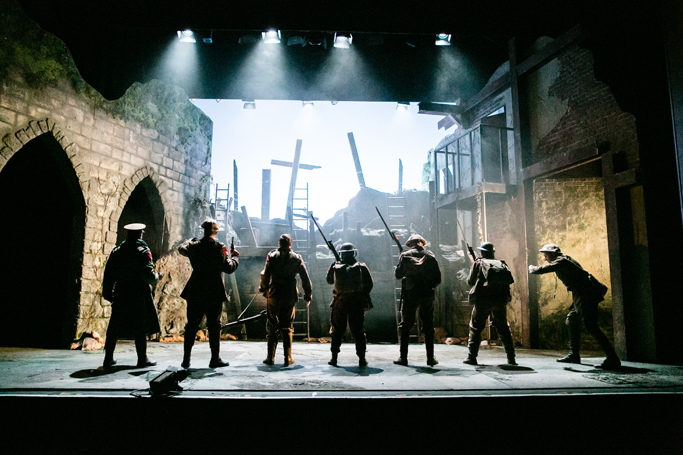 This threatens to dissipate rather than consolidate the emotion of the intertwined threads although Victoria Spearing’s atmospheric set, incorporating the mouth of one of the tunnels, ensures that the devastation of warfare looms throughout. James Findlay’s soulful folksinging, clear as birdsong, fits the sombre mood. 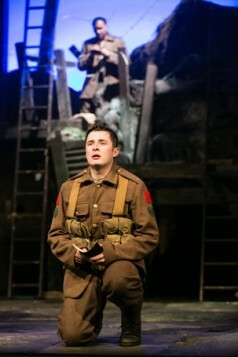 Dominic Bilkey’s explosive soundscape and Alex Wardle’s crepuscular lighting graphically suggest underground horrors. 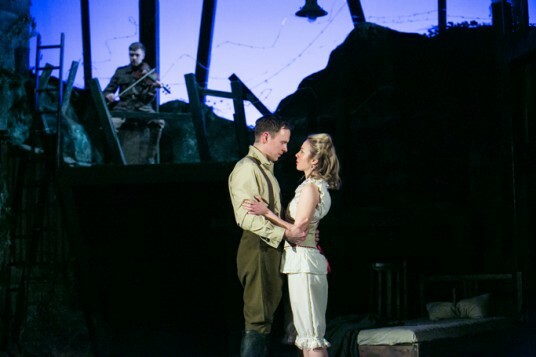 While the lovers’ fiercely passionate encounter is reduced to balletic movement, the gut-wrenching tension of going “over the top” is perfectly caught. 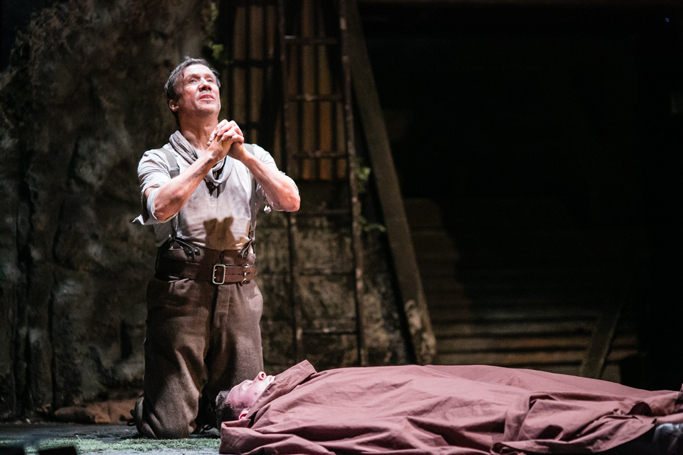 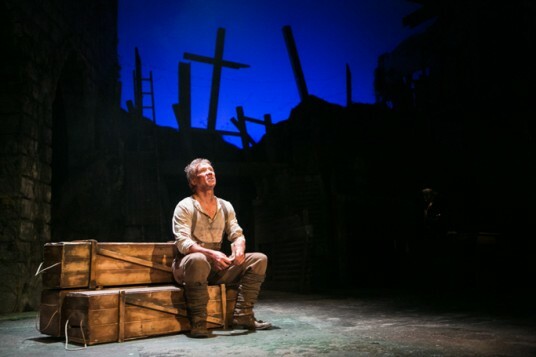 Among an admirable cast, efficiently directed by Alastair Whatley, Edmund Wiseman gives uptight Wraysford emotional depth and Peter Duncan, returning as the tragic tunneller Firebrace yearning for his sick son, is heartbreaking. Much has had to be omitted, including the scenes from the 1970s which provide the book with an upbeat ending, but Faulks’s central story and the furious indictment of the waste of war survive intact.